Let's compare a new born and a sock.The only thing they have in common is that they both can't order a beer. 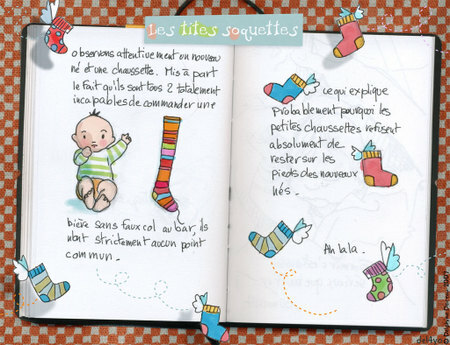 Why little socks won't stay on little new born feet? Undoubtedly : they have little in common.